1. Kettani’s quest. 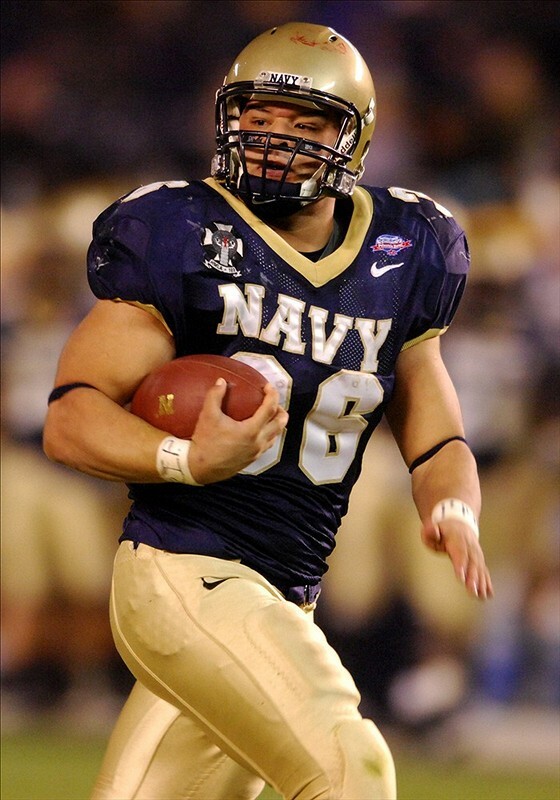 The Boston Herald gives an extensive look at Naval Academy grad Lt. j.g. Eric Kettani’s struggle to secure an early release from service to play football for the New England Patriots, a release he was granted late last month. Kettani must pay back about $60,000 for his education and will continue to serve in the Navy Reserve. The Herald report outlines a complicated appeals process that involved Kettani, his brother/manager, a family friend in Jacksonville, Fla., who happened to be a retired Army colonel, and Patriots head coach Bill Belichick, whose Annapolis ties are firmly established. 2. Army honors. Speaking of NFL coaches, Tom Coughlin of the New York Giants and John Harbaugh of the Baltimore Ravens will receive the Army’s third-highest civilian honor today in Arlington, Va. Coughlin — who’ll get the honor from his friend, Army Chief of Staff Gen. Ray Odierno — will be honored for his work with military veterans and the USO; Harbaugh helped established Military Appreciation Day for the Ravens and has organized visits to military bases. 4. Odds and ends. Navy makes the front page of ESPN’s “100 days till kickoff” section (No. 6 on the right-hand side). And are you up to speed on the photo-sharing site Pinterest? The folks at West Point are — here’s a page of pics from the spring game at Fort Benning, Ga.